Femi Adesina, the spokesperson to President Muhammadu Buhari, has just circulated the article below detailing how the president was adored, applauded and honoured when he attended and gave a speech at the anniversary of the Rome Statute at the International Criminal Court (ICC), The Hague, Netherlands. I’ve seen him address the Economic Community of West African States (ECOWAS). Seen him speak at AU (African Union) summits. Seen him address the European Parliament at Salzburg, France. Watched him speak to the world a number of times at the United Nations General Assembly (UNGA). And on Tuesday, January 17, 2018, he stood ramrod straight to address the International Criminal Court (ICC) in The Hague, Netherlands. It was a time one felt tremendously proud to be Nigerian. At 9.35 am Tuesday, President Buhari was ushered into the main hall of the ICC. He stood straight, in a way that belies his age of 75. Before taking his seat, he bowed reverently to the 17 judges, resplendent in their blue robes and white mufflers. The judges were picked from all regions of the world, and four of them were Blacks. Out of those four, the President, Judge Chile Eboe-Osuji, is Nigerian. All hail our own dear native land! President Buhari was invited to the podium. Another bow, and those brisk strides again! A man they said, had died, and had been secretly buried this time last year! God is awesome. 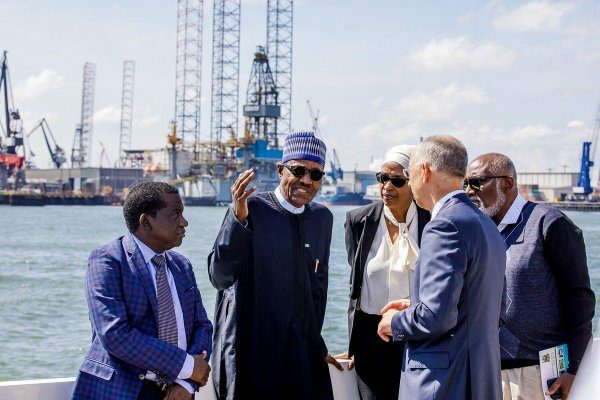 The post “How Buhari, The Demonized Fulani Man, Made Nigeria Proud At ICC” – Femi Adesina appeared first on LATEST NIGERIAN NEWS BREAKING HEADLINES NEWSPAPERS.